Essential fatty acids (EFA) are healthy fats that the body needs but can't produce on its own. There are two fatty acids that are essential for human health, alpha-linolenic (also known as omega-3 fatty acids) and linoleic acid (omega-6). The only way to get these nutrients is through a well-rounded diet. Fish and fish oil supplements are the best sources of omega-3 fatty acids. Westerners tend to consume more omega-6s, found in poultry, eggs, and most vegetable oils, than omega-3s, which are abundant in fish and seafood sources. A diet low in omega-3s is thought to be a factor in the increased rate of heart disease in the U.S. 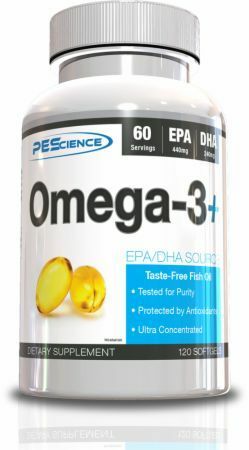 The omega-3 category consists of two sub-groups: eicosapentaenoic acid (EPA) and docosahexaenoic acid (DHA). Consuming these healthy polyunsaturated fats (PUFAs) are known to help reduce high blood pressure and high cholesterol levels, both increased risk factors for developing heart disease. 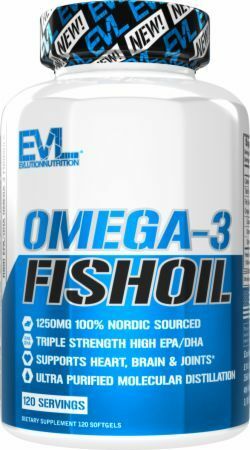 Fish oil supplements contain the omega-3 fatty acids that are so important for human health. If you get enough in your diet from whole foods — fish, primarily — supplementation may not be needed. If you don't consume omega-3s two to three times a week, you may want to take a fish oil supplement. One serving of most fish oil supplements is sufficient for providing the recommended daily allowance (RDA) of EPA and DHA combined. 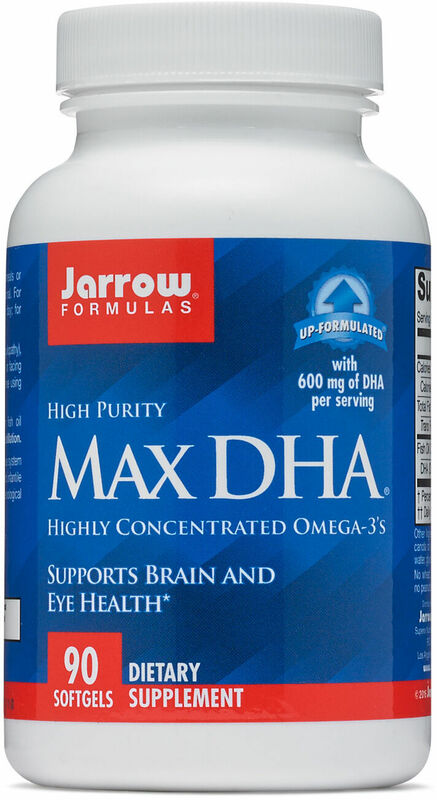 Docosahexaenoic acid (DHA) is beneficial for cognitive functions, neuromuscular control, and is the preferred omega-3 fatty acid for neural and retinal development. 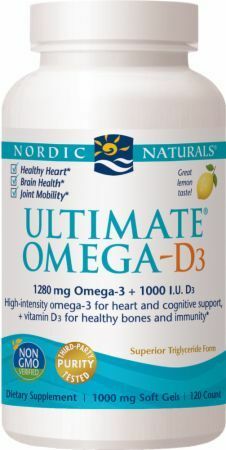 Supplementing DHA with fish oil is a great way to maximize the benefits of both fatty acids. Studies demonstrate that fish oil supplementation provides physical and cognitive benefits throughout your life. Children benefit by the aid of brain and retinal development, and the elderly benefit by slowing deterioration of brain function — a normal part of the aging process. To get your recommended dosage of EPA and DHA, we recommend taking a fish oil supplement, especially if your diet is not rich in seafood. 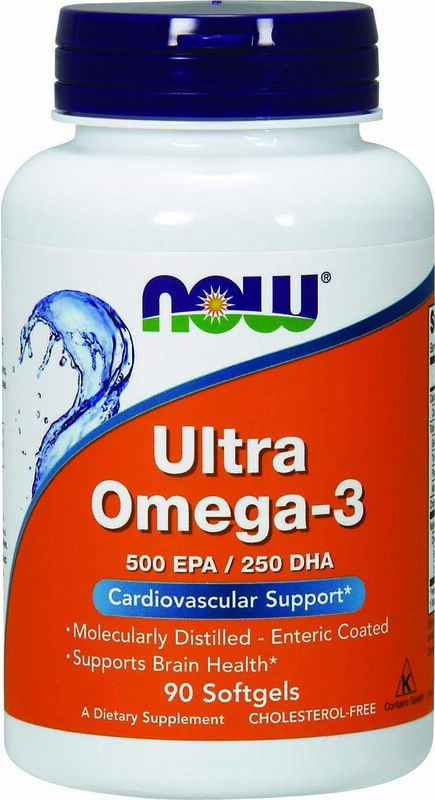 NOW Foods produces a good EPA-only supplement — Super EPA. You can also try Carlson's EPA Gems. Cod liver oil supplements contain vitamins A and D, in addition to DHA and EPA. If you don't eat a lot of fruits and vegetables, and don't take a multivitamin, cod liver oil may be a good option for you. 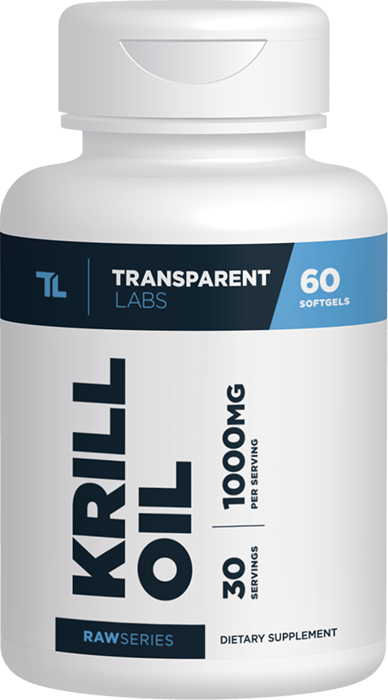 Krill oil does not contain vitamins A or D. It was shown to be potentially more effective than other types of fish for boosting lipid metabolism in obese individuals. Long-term consumption may increase fat loss for those who are overweight. Krill oil is much more potent for ridding the body of eicosanoids, which induce inflammation. Low-grade chronic inflammation is a top heart disease factor in those who are otherwise healthy. Try NOW Neptune Krill Oil or Jarrow Formulas' PhosphOmega Krill Oil. 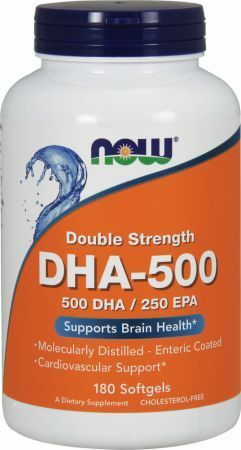 Healthy adults should get 500mg of fish oil daily (1:1 EPA to DHA ratio). Adults with heart disease should consume 1g each day, and those with high cholesterol and/or high blood pressure should take 3g to 4g. The overall maximum dosage is 4g daily. Omega-6 fatty acids are in vegetable oil, corn oil, soybean oil, nuts, and seeds. Most Americans tend to get their RDA of this fatty acid. 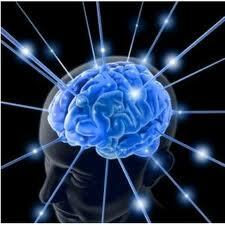 Omega-6 fatty acids help with brain health, particularly common aging disorders, heart health, and inflammation. 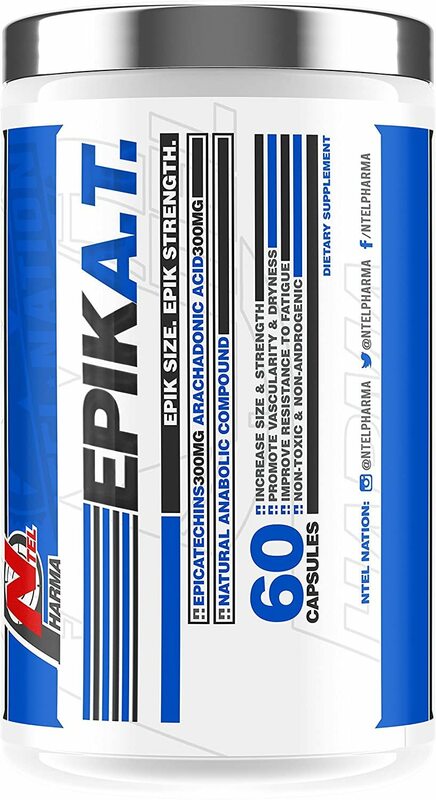 The compound also helps build muscle. Gamma linoleic acid (GLA) is a natural anti-inflammatory that helps relieve rheumatoid arthritis symptoms, reduces symptoms associated with eczema, and helps prevent cardiovascular illnesses. GLA is an omega-6 fatty acid that can be synthesized in the body, but works better when supplemented in the diet. Exceeding 2.8g daily can result in minor gastrointestinal discomfort (similar to fish oil consumption), though that subsides with consistent consumption. Black currant oil is a popular, inexpensive supplement that contains GLA. The downside is that the concentration of GLA is small. We like NOW Black Currant Oil or Health From The Sun Black Currant Oil . Borage oil containsone of the highest concentrations of GLA compared to other sources. NOW Borage Oil and Nature's Way EFA Gold Borage Oil are good sources of GLA. Primrose oil is a good source of GLA and is very popular for treating menstrual cramps. NOW Super Primrose or Jarrow Formulas Evening Primrose 1300 are good options. Penniston, K. L.; Tanumihardjo, S.A.; American Journal of Clinical Nutrition; "The acute and chronic toxic effects of vitamin A; American Society for Clinical Nutrition;" February 2006. Kapoor, R.; Gamma Linolenic Acid: A Natural Anti-inflammatory Agent—Part I; 2005. Claire Groden; Time Magazine; Hold The Salmon: Omega-3 Fatty Acids Linked to Higher Risk of Cancer; July 2013. NutritionBizz Fish Oil was created. DAS Labs Fish Oil was created. Carlson Cod Liver Oil was created. Barlean's Vitality Omega Man was created. Flora Udo's Oil 3-6-9 Blend was created. Flora Udo's Oil High Lignan 3-6-9 Oil Blend was created. 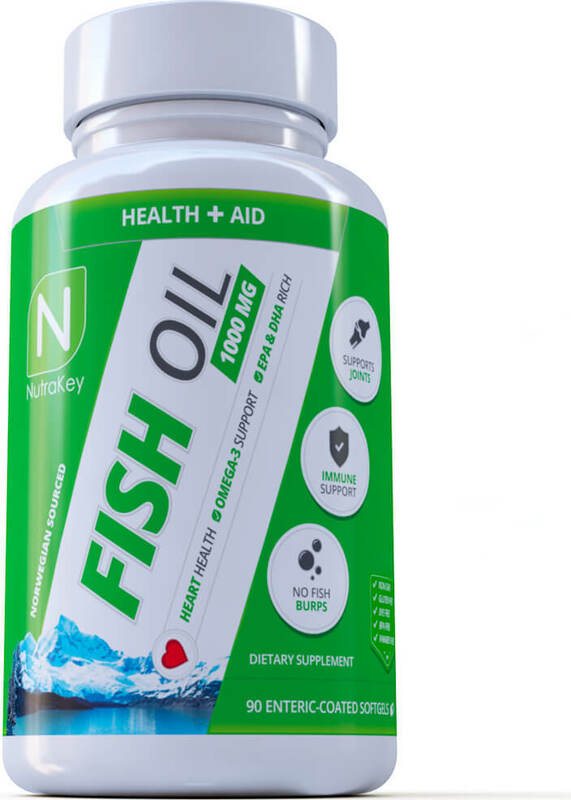 NutraKey Fish Oil was created. New Chapter Wholemega Cardio was created. New Chapter Wholemega For Moms was created. Olympian Labs Rekover was created. Olympian Labs Omega 3-6-9 was created. 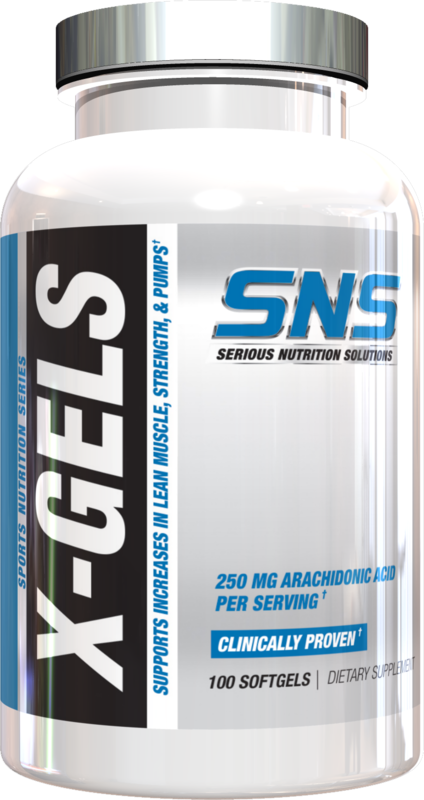 GNC Triple Strength Fish Oil Plus Joint was created. Nature's Bounty Mini Fish Oil was created. Nature's Bounty Fish Oil + D3 was created. Barlean's Total Omega 3-6-9 Swirl was created. 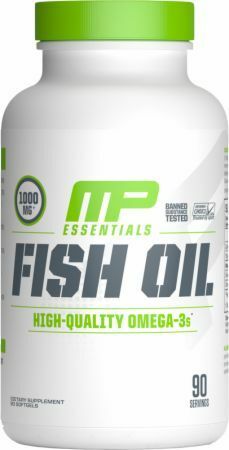 MTS Nutrition Fish Oil was created. Nature's Bounty Fish Oil was created. 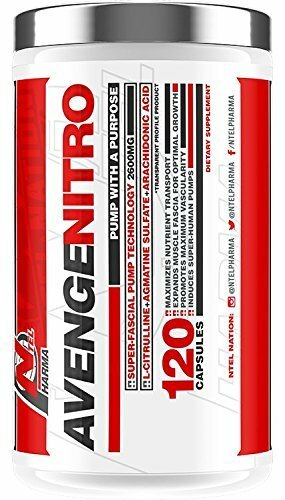 Nature's Stamina NT3 was created. Ghost Fish Oil was created. True Performance Nutrition Omega Complex 3-6-9 was created. 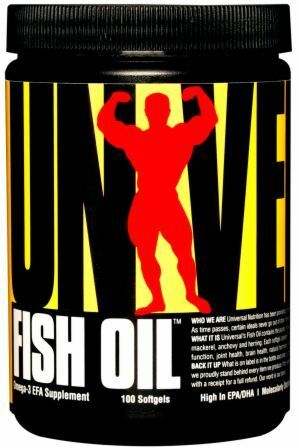 Muscle and Strength 100% Pure Fish Oil was created. Country Life Omega 3-6-9 Complete was created. Onnit Joint Oil was created. 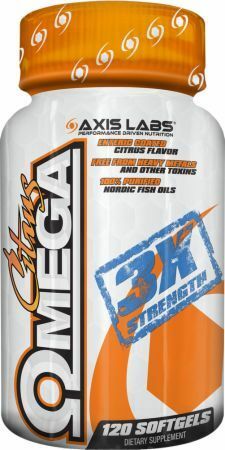 Infinite Labs Omega 3-6-9 was created. Doctor's Best Pure Wild Alaskan Fish Oil was created. 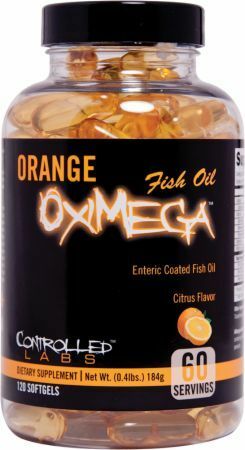 ProMera Omega-3 Fish Oil was created. 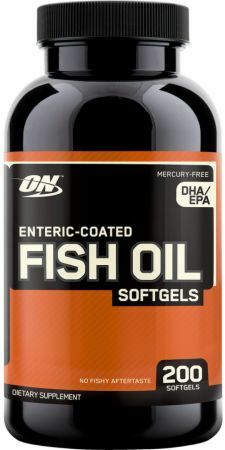 GNC Ultra Strength Fish Oil was created. Renew Life Norwegian Gold Super Critical Omega was created. A massive new study shows that low-fat diets ARE the reason for increased mortality, not high-fat diets like once thought. Keto dieters were right! Twinlab Emulsified Omega-3 Fish Oil was created. Sign up for future Essential Fatty Acid news! Click the button below to sign up for future Essential Fatty Acid news, deals, coupons, and reviews! Subscribe for more Essential Fatty Acid news and alerts! Subscribe to PricePlow on YouTube or click the button below to sign up for our latest Essential Fatty Acid news and reviews!